Devil’s Night has a knack for delivering memorable haunt outings — from the windswept, breakneck adventure in 2009 that saw us hit Hellblock 13 in Wyandotte, The Realm of Darkness in Pontiac and The Haunted Farm of Terror in Lenox Township to the 2013 roller coaster which began with Bloodbath on Biddle, soared to new heights at Hush and finally crashed and burned at the Scream Machine in Taylor. Indeed, the night before the night of nights has historically provided something to write about whether it be trick or treat and tonight, I suspect, should be no different. If all goes according to plan and no uncontrollable intangibles threaten to thwart our night we’ll visit the well-publisized rookie in Wixom known as Dark Legacy and end the trek with a visit to the revamped, expanded 2013 Horrorlust Haunt of the Year, Hush. Dark Legacy features three haunted attractions including the curiously named Government Owned Haunt, Kensington Detention Center and Fang Cemetery. The Dark Legacy website has a neat story for each of the attractions and it would seem that a shadowy sect of the United States government has been up to all sorts of nasty experiments. Irradiated milk? Genetic engineering?! And what the hell is Codename GACK?!!! The evening shall end with a visit to Hush in Westland for a highly anticipated return to the breakout star of the 2013 haunt season and the Horrorlust Haunt of the Year. It would appear as if Dr. Phineas C. Phun has spent the last calendar year creating an army of abominations at the Hush Corporation and tonight we’ll see if John and I can bring down this megalomaniacal institution of arrogance and avarice. 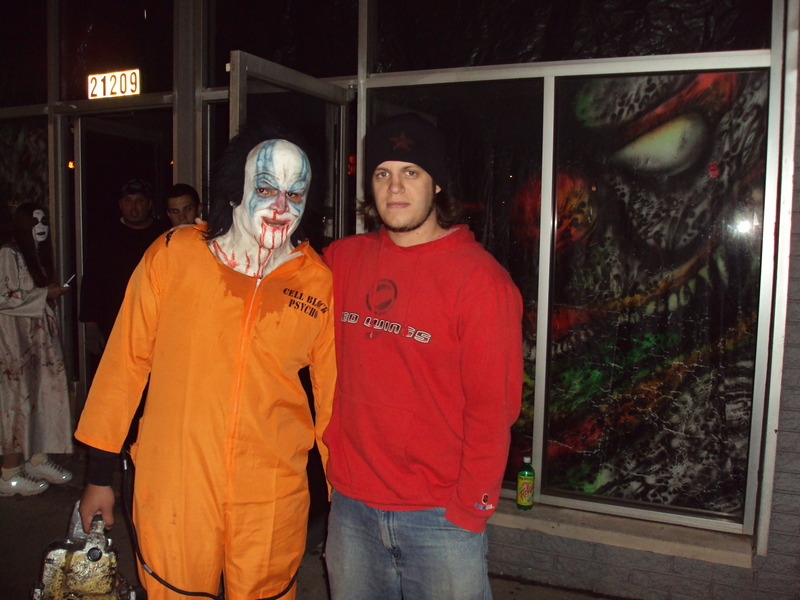 This entry was originally posted on Sunday, October 12, 2008 and chronicled an enjoyable night of haunting that took place at The Realm of Haunted Minds in Romulus and Extreme Scream in Taylor. 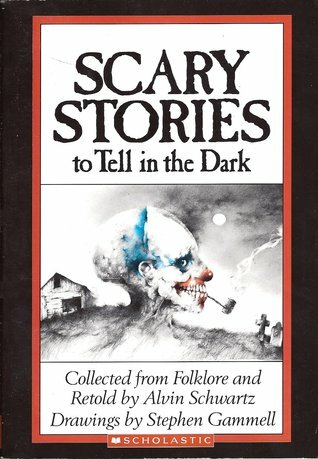 This particular trip through The Realm of Haunted Minds would later notch the 2008 Horrorlust Dark Horse Award. On October 4 (the Saturday before last) the same group of haunters that survived the Homer Mill one week prior braved the terrors of two local attractions: Realm of Haunted Minds and The Extreme Scream. Jason, John, and Cherette arrived at my apartment just past dusk and we set out for Realm of Haunted Minds at the Huron Turkey Farm in Romulus. When we arrived the area was nearly deserted but the sound of Michael Myers’ haunting music reassured us that the ghastly denizens of RHM were awaiting the arrival of some unlucky souls. There was a type of country store in which customers purchase their tickets and the decorations here were noteworthy. A number of realistic, life-size dummies dotted the walls on the left side of the room one of which appeared to be Lon Chaney’s portrayal of the title character in the 1925 production of The Phantom of the Opera. After buying our tickets we hit the grounds were various clubhouse style buildings dominated the landscape, we would explore these after we exited the Realm of Haunted Minds. Upon entering the haunted house guests listen to the wisdom of a slightly creepy animatronic wizard. The haunt features a recurring theme of hallways speckled with neon paint and lit by black light; I think it works fairly well here achieving a disorienting effect without seeming repetitive or disjointed. One major drawback was the timing of the actors, often off it served as a double dose of disappointment when paired with lackluster deliveries which plagued numerous workers. However, one particular actor was dead set on precision. After being herded down a narrow passage guests approach a turn to the right that forces them to crouch very low to the floor; all would’ve been fine if it hadn’t been for a hungry, undead girl stooped in the corner. The position of the corner and the low ceiling forces the haunt goers to come face-to-face with the frightening creature who barred her teeth in a menacing snarl. As we passed she made her desires known stating, “I want to bite your ankles”. She proceeded to follow us through several rooms, dragging her body across the floor as if her legs were useless. Her persistence was appreciated and I thought it only proper to offer her a just reward, shaking my exposed ankle at her as we rounded a corner I said, “Earn your meal biatch.” She didn’t just steal the show at RHM; she made the show and will no doubt be remembered as one of the top actors of the haunt season. The rest of the haunted house featured passable if not forgettable scenes perhaps the most awe-inspiring was the room that contained a massive Frankenstein strapped to a medical table. I also was struck by a hallway that featured a high arching ceiling with bright pink tube lights running up either side of the walls and crossing over guests’ heads. As with the Homer Mill there was a “Womb of Doom” just prior to the end of the haunt. Upon exiting haunters wind their way through a small maze comprised of wooden fence posts. We eventually escaped the maze albeit by questionable means when Jason insisted on ducking beneath a wooden structure and barreling through a rather small opening between wooden planks, that opening needless to say increased in size once we had made our hasty exit. The Realm of Haunted Minds has potential. It’s a great place for someone looking to get into the spirit of the Halloween season who isn’t quite prepared for the scares offered at more intense or graphic attractions. We departed the Huron Turkey Farm and began the trek to Taylor for the Extreme Scream. 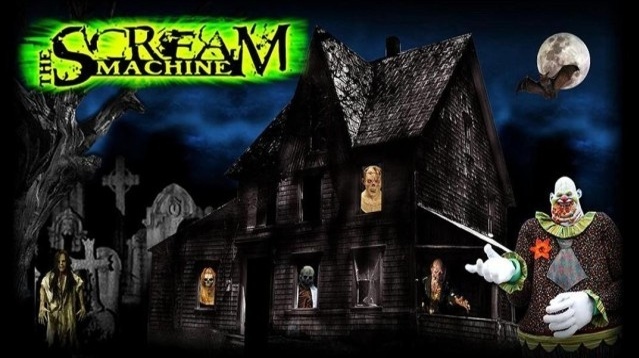 The Extreme Scream wasn’t open in 2007 but during the 2004 Halloween season Branden, John, Amanda, and I discovered just how effective this haunt could be. Needless to say I was very excited to return to this haunt with an old school slant. The Extreme Scream still features a lot of plain, dark hallways and the desired effect is pulled off here better than any other haunt I’ve visited. The operators here smartly allow haunters to psyche themselves out allowing them a lot of time to think about what lies around the next corner while feeling their way through these basic but effective hallways. Prior to entering the haunt the guy at the door runs a shtick in which he cons the party weakling (typically the girl in the group) out of their name. Once he has the name he announces it to the foul ghoulies inside and as you may have guessed such dubious honors were bestowed upon Cherette. The monsters wasted little time in taunting Cherette, one depraved creature suggested that we, “Take Cherette to the bedroom”. I’m fairly certain I heard a satisfying slurp escape Jason’s lips. The Extreme Scream features a strong blend of dark passages, props, actors, and simple yet effective gags. This haunt really starts to hit its’ stride at the midway point with a series of shrinking hallways that force guests to turn sideways and push their way along. While this occurs an agile clown scampers across the tops of walls taunting visitors below. Another neat feature of the Extreme Scream is the various locations at which haunters are forced to crawl their way along, sometimes while grunting creatures pursue you from a parallel path separated by intersecting wooden planks. The timing of the majority of actors is precise here and most seem committed to scaring the guests. At one point we entered a room where the walls were lined with lockers, a single door stood at the far corner. We went through it and immediately suspected that we had strayed from the haunt. We were staring at the haunt’s sound system and standing in what seemed to be a type of access pathway to numerous rooms throughout the attraction. I could also hear the distinct chatter of employees; in fact I spotted two of them not far from me. After several attempts to find an alternate path and failing to do so I simply approached one of the workers and he directed me back to the locker room where I reunited with the group. Apparently there was a small door near the floor; we had to crawl to get through it. I’m fairly certain that haunt goers aren’t expected to find this for themselves because a ghoul had now appeared in the room behind the secret door this room was actually visible from the employee pathway we had mistakenly entered but it was so small I wasn’t sure that we were supposed to enter it. The ghoul who had suddenly appeared I assume was suppose to have jumped out at us and then directed us in the right direction in the first place, I guess he was busting a ghoulie feke. The haunt concluded shortly and suffered from a terribly anticlimactic finish. Guests enter a room where a man in an electric chair, bathed in red light slowly raises his head. The prop is merely meant to distract you as a plainly visible slot in the wall houses a masked actor who provided a would be mild scare. The misguided trip into an employee area as well as an uninspired finish put a blotch on what was an otherwise very enjoyable and well done haunt. I did miss the cart ride that the Extreme Scream featured in 2004.